In 1997 I had the fascinating experience of visiting the Taiwan Palace Museum, which holds the majority of art collected from both Taiwan and mainland China from the past several thousand years. This six-story building rotates its display every three months, and the collection is so large that it takes 30 years to show everything. Seeing those works displayed in June 1997, I was most taken by the many carvings dedicated to the Asian Zodiac cycle. Many artists in various media and styles have depicted the twelve-year animal cycle as a set of stylized carvings or drawings, and I've been eager to create a musical parallel ever since this visit. In late January 1999, flutist-composer Alexandra Molnar-Suhajda asked if I had any new flute choir music that her ensemble could premiere at the Mid-Atlantic Flute Fair in February. 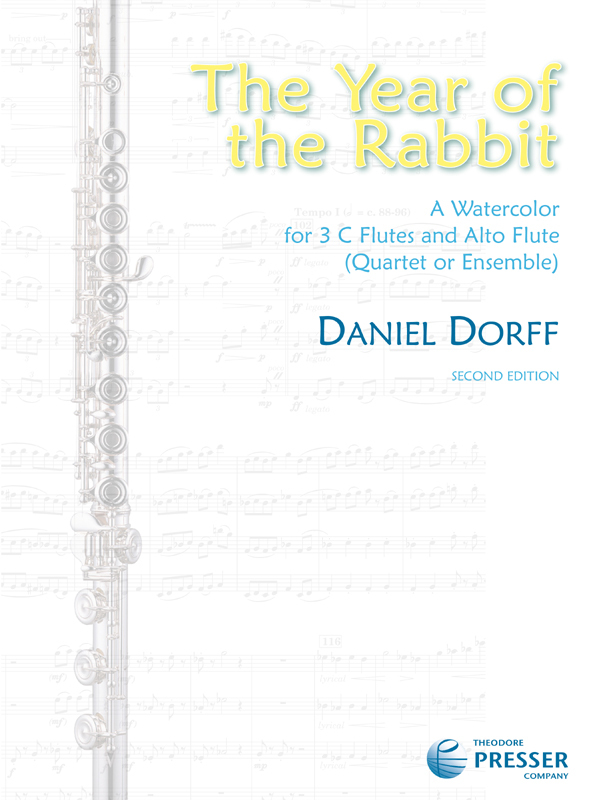 I didn't, but it struck me that a flute choir would be good to portray the "year of the rabbit," which was coincidentally beginning that weekend.Within a few days the piece was started and finished. The music, in various ways, pays homage to the many "Rabbits" in my immediate family, to rabbits in general, and to the Chinese astrological sayings about people born in the year of the rabbit. THE YEAR OF THE RABBIT is dedicated to Alexandra Molnar-Suhajda, who (I later discovered) was also born in the Year of the Rabbit. The original 1999 edition of THE YEAR OF THE RABBIT was engraved hastily out of concert scheduling necessity; its lack of cues, visual clumsiness, and insufficient cautionaries, has made the music much harder to play than it actually is. This new edition is larger, better spaced, has ample cues and cautionaries, and also has a handful of minor musical revisions to help smooth performance. 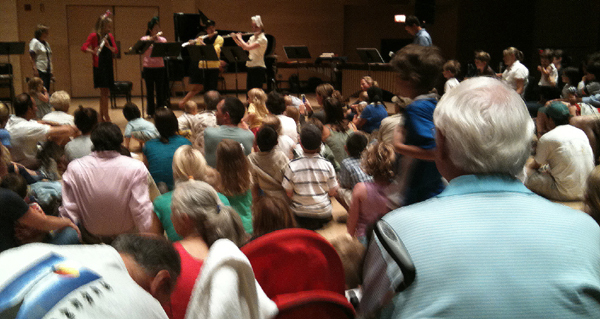 The composer thanks all the flutists who asked for better parts, and in particular Cindy Anne Broz and Anne Levinson of Flûtes de Salon, and Ellen Fisher Deerberg of the Volanti Flute Quartet, for specific suggestions leading to improved articulations and other idiomatic details. Challenges in tonguing, fast breaths, and dynamics have been improved in the second edition, which is much better for performance. THE YEAR OF THE RABBIT may be performed by a quartet or an ensemble. While a solo quartet is the most light and supple, the use of multiple players allows for solo/tutti contrasts and staggered breathing. Flute 2, m. 171: Please delete the stray grace note.